Thomas Midgley Jr. created the first gas non-flammable, chlorofluorocarbons (CFCs) are not toxic in 1928. What we are familiar with the term "Freon". Because CFCs contribute to the depletion of ozone in the upper atmosphere, then was replaced by hydrofluorocarbons (HCFCs), the name is labeled a number indicating molecular composition such as R-22 or R-12 refrigerant which is commonly used as a coolant in the car. 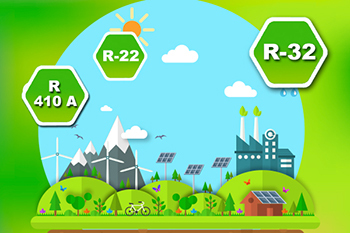 Refrigerant beginning of the most used in the cooling process in the house known as R-22, this type begin to be reduced and will be removed starting in 2015 as the industry ministry's decision because the chemical compounds that can damage the ozone layer. 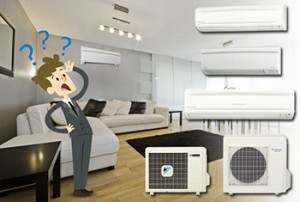 Some developed as an alternative refrigerant is R410A and R32 namely by focusing on energy efficiency, improve indoor air quality and reduce the destruction of ozone. 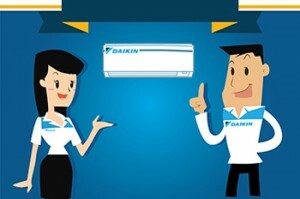 Freon R32 discovered by Daikin of Japan in 2012, and began to be used by Daikin in 2013.